منظور از شماره صفحه، عدد شمارنده رایانه بر روی آن صفحه در فایل پی. دی. اف است، نه عدد حک شده روی صفحه کتاب. حتما قسمت های مشخص شده را خوب بخوانید و خلاصه ای مهم از آن را که همه ابعاد را پوشش دهد، مورد استفاده قرار دهید. تحلیل شاخص های اقتصادی در برنامه “پزشک خانواده” و “طرح تحول سلامت ایران” را فرابگیرید. وضعیت بیمه های سلامت در ایران را شرح دهید. مزایا و معایب آن را مطرح کنید. برای مطلوبیت بخشیدن به آن چه الگویی پیشنهاد می کنید. موارد ۳ و ۴ علاوه بر فصول ذکر شده در زیر است و باید بررسی نموده و برای آن ها پاسخ داشته باشید. Thomas E. Getzen, PhD, is Professor of Risk, Insurance and Health Management at the Fox School of Business, Temple University and Executive Director of iHEA, the International Health Economics Association, with 2400 academic and professional members in 72 countries . He has also served as visiting professor at the Woodrow Wilson School of Public Policy at Princeton University, the Wharton School of the University of Pennsylvania, and the Centre for Health Economics at the University of York. 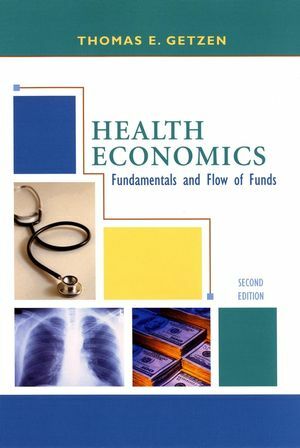 His textbook Health Economics: Fundamentals and Flow of Funds (Wiley; 2nd ed., 2004) is used in graduate and undergraduate programs throughout the world. Professor Getzen serves on a number of corporate and non-profit boards. His research focuses on the macroeconomics of health, forecasting medical expenditures and physician supply, price indexes, public health economics, and related issues. لینک ترجمه بالا را در گوگل سرچ کنید.